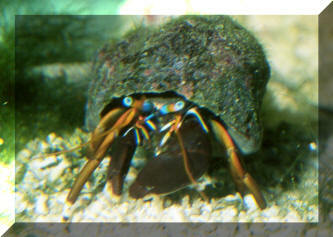 Calcinus laurentae Haig & McLaughlin 1983, Laurent's Hermit Crab, Family Diogenidae. Orange-yellow antennae. 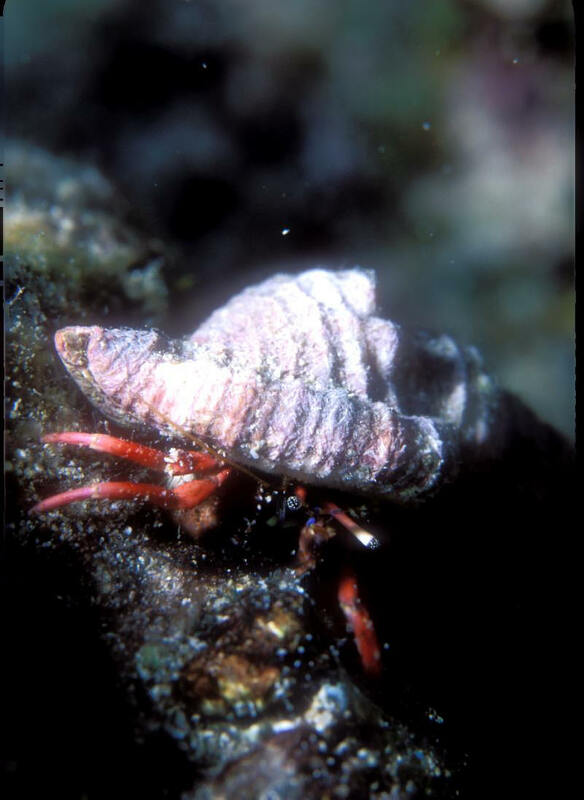 Claw-limbs brown, other legs pink with white junctions and black tips. Hawaiian endemic. Common. To about 1/5" carapace length. Kona pic. 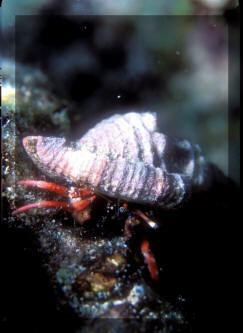 Calcinus tibicen, the Orangeclaw Hermit Crab, Family Diogenidae. Tropical West Atlantic. Orange antennae and eyestalks. Eye tips white, eyes with black pupils. Unequal size claws. 1/2 to 1". Aquarium pic. Clibanarius seurati, Dana 1852. Zebra Reef Hermit Crab. Fiji. 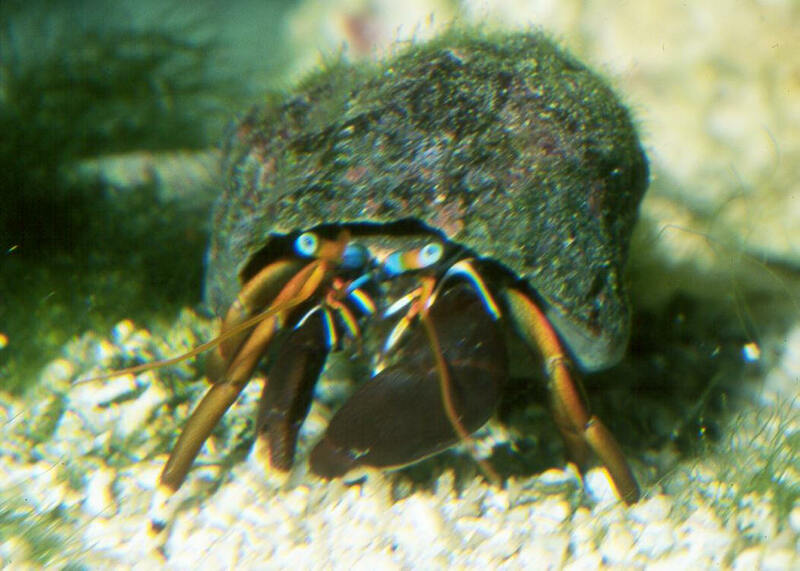 Clibanarius tricolor, the Blue-Legged Hermit Crab. To less than an inch in length. 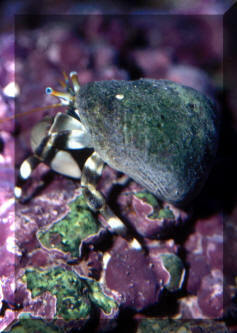 One of a few "reef-safe" Hermits that stay small and almost exclusively feed on algae (and Cyanobacteria!). Good for aiding in aerating the substrate as well. Aquarium photo.